‘Digital’ - the high street’s biggest adversary, or secret weapon? A review of 3 young tech businesses which are working for, and not against, our high streets. Largely, this physical retail catastrophe has been blamed on an increasingly digital consumer, deferring to the internet for the purchase of products and services. This has supposedly created a footfall black hole across GB high streets and shopping centres, rendering physical stores irrelevant. Accepting there is some hyperbole here, it is true to say that alongside the impact of Brexit and more cautious customer spending, the high streets’ key adversary seems to be the proliferation of e-tailers, online shopping and an increasingly digitised consumer. High street health; the facts. It’s tough, there’s no doubt about that. The number of new high street stores opening in 2017 fell to 4,083, down from 4,534 in 2016, according to recent research compiled by the Local Data Company (LDC) for PwC. Looking only at multiples (classified as brands with five or more stores nationally), across the top 500 town centres, an average of 11 stores opened on the British high street every day in 2017, down from 12 per day in 2016, and 15 in 2013. Looking to the independents (across the whole market), we saw 33,010 retailers open in 2017 although closures sat at 34,493. Compared to 2016, there were far fewer openings (32,728) but equally fewer closures (31,933). This puts net change for independent retail across GB at +795 in 2016 compared to -1,483 in 2017. 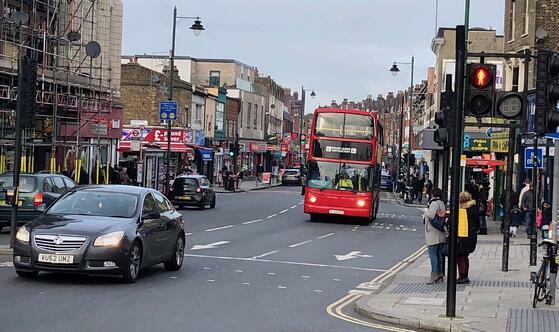 However, at LDC, we are absolutely seeing signs that the market is fighting back, with an increase of new independent retailers opening stores and certain sub-sectors such as health and beauty, coffee shops and even booksellers seeing significant growth. Alongside this, there are a number of exciting young digital or tech-led businesses using their digital skills and technology, not to steal customers away from the great British high street, but to help the high street become more accessible and a more exciting place to shop. How is technology and online aiding the fight? Down Your High Street (DYHS) was founded in 2013 to provide independent UK retailers with a national e-commerce platform for their products. DYHS conducted a survey where 300 UK-based retailers gave their thoughts on the high street and how they’re working to adapt to the digital era. 25% of retailers said they were selling some goods online and were actively looking for new ways to digitally sell to new customers. However, 75% of this group said that they weren’t sure how or where they could sell their products online without being digitally savvy. DHYS’s aim is to provide independent shop owners with a level playing field that provides them with all the tools to manage their online presence with a national reach all from one or two stores. With an additional revenue stream for their products, the stability of these independent high street stores can be greatly enhanced – especially as any online sales shouldn’t cannibalise their in-store revenue from the local catchment. “I co-founded DYHS with Amanda who ran a local boutique in my home county of Hertfordshire. We met while I was selling online payment gateways to local SME’s and the amount of retailers that avoided selling online was huge. Being raised through the digital era, I thought everyone and everything was online but it couldn’t be further from the truth. Amanda was a boutique owner that concentrated on face-to-face sales but knew the world was digitising. Since then, internet sales have sky-rocketed and achieved over £130 billion in 2016 in the UK alone. DYHS is the vehicle to transport the high street into the digital era. We do everything for the shop, we can even guide them through smart phone photography so their products can be seen online. For a limited time, DYHS is offering independent businesses 12 months' free access to the platform via LDC. For more information please email marketing@localdatacompany.com. A team of musical specialists combined with their proprietary technology enables Ambie to provide retailers with tailored in-store playlists to enhance the customer experience. 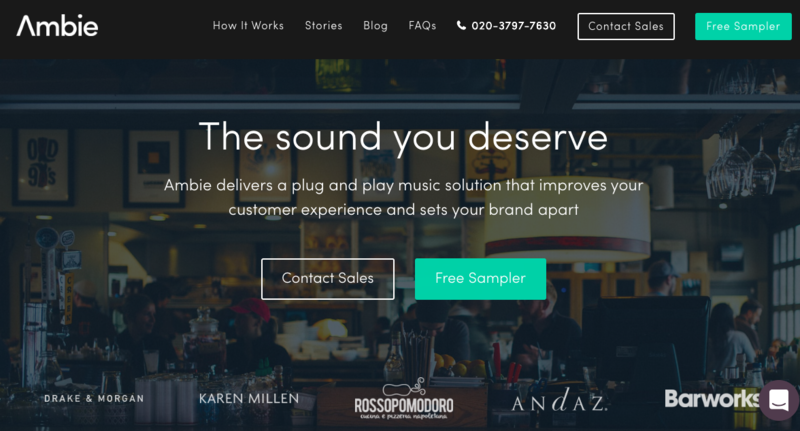 First, retailers design their soundtrack after an online consultation, then Ambie’s expert curators will design a collection of playlists tailored to your business, your customer demographic and your trading patterns. Using this technology, retailers and leisure operators can hugely improve the customer experience within a store and can significantly impact the mood or ambience. Heightened in-store experience will no doubt have a positive impact on sales, hence the potential of this technology. Ambie plays music via a small, palm-size player that connects seamlessly to an existing sound system. The player is sent to each of the retailers’ store locations and this tech then plays music in any group of stores. In addition, Ambie have created an app which enables the retailer to have complete control over what's playing in all store locations. A retailer can change the music, send feedback on songs or get more info on what’s currently playing – from any mobile, tablet or computer with the Ambie app. The opportunity here for physical stores is the ability to immerse a consumer in your brand in a way that’s much more difficult online. The experience of a store is now more important than ever before and the use of technology to further power and tailor the in-store experience can only be a huge plus for the high street. I spoke to Ambie’s CEO, Gideon Chain about how he thinks his business supports physical retail. “With the rise in digital and on-demand services challenging the high street, delivering a flawless customer experience is now mission-critical for bricks & mortar businesses – the right music supports this. Beyond creating the right 'mood', we've seen how music can leverage trading patterns to drive sales, increase dwell-time and amplify brand image. Another fascinating digital business Maybe*, provides a ‘platform that eliminates the gap between how shoppers want to shop and how retailers are able to connect with them.’ Maybe* was founded on the premise that regardless of the ultimate mode of purchase, a vast number of sales are now in some way digitally influenced. We see this on our own shopping habits all the time, we might buy in-store but we’ve likely browsed our mobile on the way to work, done some research online or flicked through various social media channels. 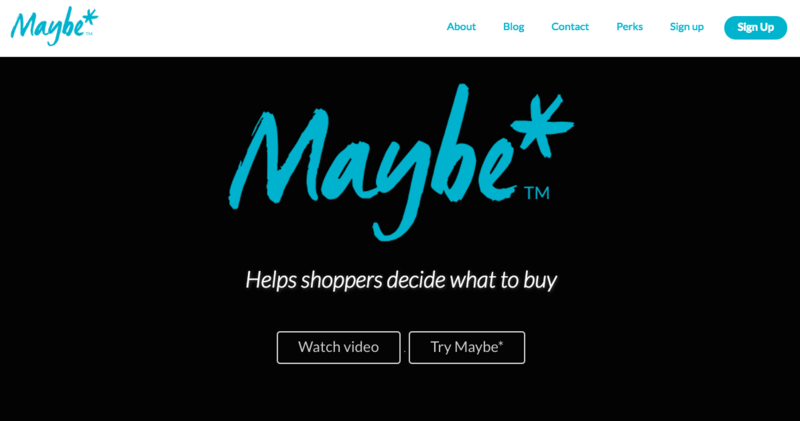 The Maybe* platform uses a combination of AI, chatbots and location technology to help retailers and landlords learn about their customers within a geographic reach and deliver a more coherent shopping experience for the consumer across channels. In addition, Maybe* are also leading a collaborative campaign which supports high street retailers to increase their social media presence. They have been able to link increased levels of social chatter to increases levels of physical footfall. “Retail is changing fast, like any industry its a case of adapt or die in today's technology powered world. the simple fact is consumers are using technology in ways that change how they shop. Retailers need to serve their customers in new and more connected ways. Technology offers a way for retailers to drive massive efficiencies within their business by using the voice of the customer as an asset. These are just three examples of a growing number of businesses which are inherently techie and web-based though hugely complementary, and (ultimately champions of ) the British high street. Retailers and landlords who are doing well in the current market are those who have seemingly embraced their customers’ digital preferences and built this, slowly but surely, into the consumer journey. Arguably those which haven’t adapted to the digital world need to innovate and sadly each week seems to bring news of casualties of the quickly-evolving retail sector. Admittedly, there has been an explosion of young technology businesses across this space making it hard for retailers to identify which of these will add value to the brand. But, they are out there, and prove that digital doesn’t always have to be the enemy of the high street.